Summary: Hank finally accepts Xavier’s offer to attend his school, joining Scott, Warren, and Bobby. Later, Magneto meets Xavier in a bar, warning him of the upcoming war. 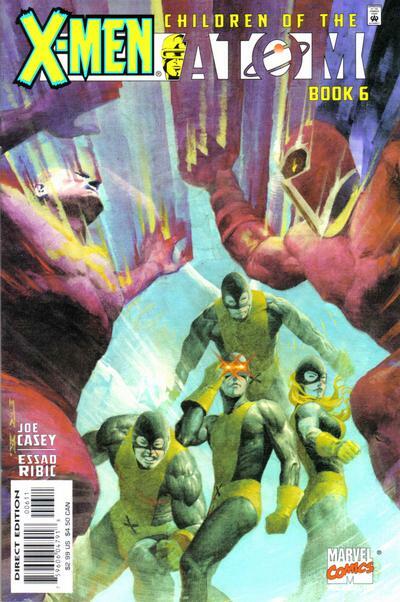 As the newly formed X-Men train in the Danger Room, Jean Grey is abducted from her home by Metzger’s agents. Fred Duncan informs Xavier, who insists on rescuing her without the neophyte X-Men. After he leaves, the team decides to go on their own rescue mission. Continuity Notes: Xavier’s conversation with Beast establishes that he grew up on a farm in Illinois, but doesn’t explain how he ended up in a New York high school. Review: Five issues into the series and the X-Men have finally managed to put on a pair of black and gold tights. Actually, I wasn’t expecting this to happen until issue six, so that’s a nice surprise. Even if Steve Rude and Paul Smith are gone, I would probably have to label this issue the strongest so far. Essad Ribic isn’t a bad replacement artist at all; in fact, his style is so compatible with Paul Smith’s, I wonder why he isn’t asked to fill in for him more often. And in defiance of the previous issues, things are actually starting to happen now. The villain is making his move, 4/5th of the X-Men have formed, and there’s a cliffhanger that might lead to more than just a conversation scene. Plus, there are a few of the moments you probably want to see in an X-Men prequel series, such as Xavier and Magneto having a passive-aggressive chat, and the X-Men getting beaten up by the Danger Room for the first time. Jean Grey also gets a nice scene with Metzger’s former follower that’s been cast out after his mutantcy emerged. None of this is enough to change my overall opinion of the series, this is a book that had Beast kill someone as a part of his origin story in issue #2 and forgot about it until now, but at least it’s coming together as a more cohesive story. Summary: Rictor and Shatterstar are recruited by Verschiagen Industries after a fight with Rictor’s gun-running family. They arrive prepared to train against Verschiagen Industries’ test subject, V-2, or to rescue her if she’s being held against her will. Suddenly, a young man named Hanransha enters. While trying to stun V-2 long enough to free her, he accidentally kills her with his mutant powers. Rictor and Shatterstar escape with Hanransha and discover that V-2 was his half-sister. Hanransha is trying to find the rest of his siblings that were also bred in labs. His next lead is Martin Strong in Colorado. Continuity Notes: This story resolves, of all things, the cryptic subplot from X-Force #43 that had a mystery man sneaking into a mystery lab. According to Hanransha, this was his father, who was killed while trying to rescue him. Review: In response to overwhelming reader demand, or at least a letters page worth of requests in an issue of X-Force, Rictor and Shatterstar return, along with Fabian Nicieza. Nicieza left quite a few dangling plotlines when he was forced off the book, and probably the most annoyingly cryptic of them was that subplot scene in X-Force #43. Considering that Marvel annuals were firmly dismissed as filler by the late ‘90s, what better place to wrap up a five-year-old storyline that barely anyone remembered? 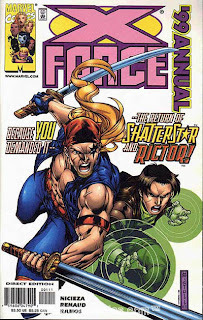 It’s possible that a few of the fans that really wanted to see Rictor and Shatterstar again also remembered this unresolved mystery, and most X-Force readers have fond memories of Nicieza’s run on the book, so this actually sounds like a decent use of the annual format. As a lapsed X-completist, I was probably in the prime demographic for this issue, even though I skipped it at the time. I didn’t have a lot of interest in Rictor or Shatterstar, wasn’t regularly buying X-Force, and didn’t care for the art. I can’t say that I missed out on a great comic, but the lure of unresolved X-continuity might have drawn me back in had I known that an old mystery was being resolved. Summary: Rictor, Shatterstar, and Hanransha arrive at the StrongH.O.L.D. headquarters, where they face Martin Strong and Neurotap. They’re shocked when X-Force enters and defends Neurotap. They explain to their former teammates that Strong is providing for the medical care of Neurotap’s family. Strong reveals that Hanransha’s powers will continue to go haywire while he’s separated from his mother, who is none other than Hanna Verschiagen. Neurotap leaves with Rictor, Shatterstar, and Hanransha for Germany, where they’re soon abducted by Hanna Verschiagen. Continuity Notes: Rictor is given the new ability to use his vibratory field to fly, so long as he straddles a large piece of wood. And, yes, Nicieza wrote this as an intentional joke, playing off the fan speculation that Rictor and Shatterstar were gay. Review: Everyone remembers Martin Strong and Neurotap from X-Force Annual #2, right? Actually, I don’t even remember X-Force Annual #2, aside from the pulse-pounding debut of Adam-X, the X-Treme. This issue reminds us that Martin Strong is a mutant fish-man that uses genetic research in order to gain a new body, and to find a way to eradicate mutantcy. Neurotap is his reluctant assistant, who works for Strong because he pays for her family’s medical treatments, treatments they need because she nearly killed them when her powers first surfaced. 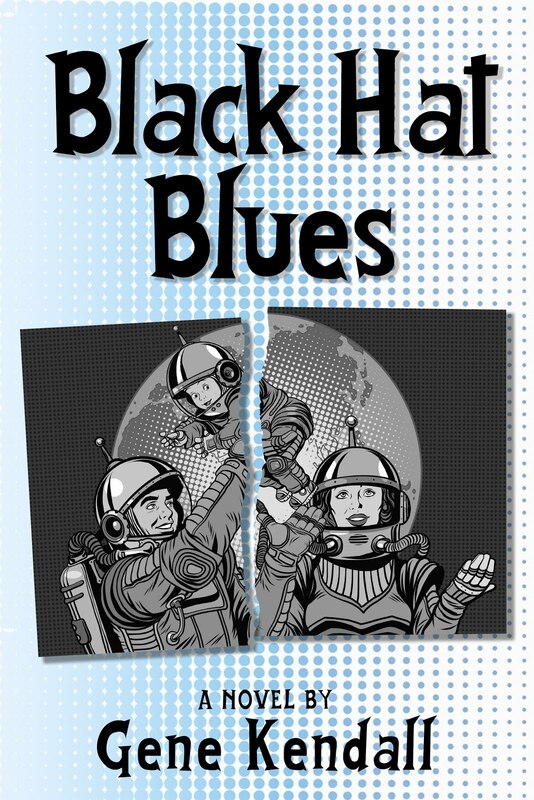 Presumably, this story is supposed to resolve her character arc and offer her some resolution, but in practice, it reads as yet another plot point jammed into an already packed comic. Not helping the story at all this chapter is the art, which resembles a bad Humberto Ramos impression. Summary: X-Force arrives and rescues their teammates. While fighting X-Force, Hanna Verschiagen continues to drain power from her children, unconcerned that she’s killing them. Shatterstar listens to their pleas and cuts their conduit lines to Verschiagen. The children, including Hanransha, die. As he dies, Hanransha thanks Shatterstar for ending their mother’s evil. Continuity Notes: Neurotap decides to leave Martin Strong’s service at the end of the story. Cannonball gives her Professor Xavier’s card, promising that he can help her family. She promptly disappeared into obscurity, but luckily she escaped Frank Tieri’s routine mutant genocides in the pages of Weapon X. Review: The final page asks readers to write in if they want to see more of Shatterstar, Rictor, and Neurotap. Specifically, they want people to write, “We want our Triple-X!” Hopefully, in large print on the back of a post card that your local mail carrier can easily read. Nicieza was apparently serious about using this story to sell Neurotap as a character, which makes me wonder why so much of the story was spent on Hanransha, his siblings, and Hanna Verschiagen and her evil corporation. I actually don’t have a problem with Neurotap; her core conflict automatically makes her a little sympathetic, and her powers are non-generic and interesting enough. She’s also one of the few minority female mutants, so an editor looking for more diversity within the X-line (or a producer working on the X-Men movies seeking a part for, say, Rosario Dawson) might consider her worth a look. But this specific story doesn’t center on her in any meaningful way, and the core story it does present is rather dull. The plot also doesn’t really do an awful lot with Shatterstar and Rictor, even though they’re nominally the stars. But, hey, that one page from X-Force #43 finally got resolved. Summary: Overcome with the darkness in his soul, Archangel flies into the city. Wolverine follows. Psylocke stays in telepathic contact while Wolverine tries to deprogram Archangel. Eventually, Archangel realizes his true purpose and allows Psylocke to break contact before the Shadow King can resurface. Archangel, his wings now bathed in light, takes away the fear of a girl with cancer. He soon flies to another hospital to find Abraham Kieros, Apocalypse’s original War. Archangel bathes him in light, curing Kieros of his paralysis. With Archangel back to normal, he discusses how to move forward with Wolverine. Psylocke still can't use her powers for fear of unleashing the Shadow King, following the events of "Psi-War." The Abraham Kieros incarnation of War last appeared during the “X-Cutioner’s Song” crossover. When exactly Apocalypse took his powers away is never revealed. The story flashes back to the molting of Archangel’s metal wings in Uncanny X-Men #338, indicating that the transformation of his wings into light is the final evolution Ozymandias hinted at in the story. Review: The credits now clarify that Nicieza is plotting and Larsen is scripting, although this does not read like Larsen’s work at all. Aside from the fact that Larsen rarely if ever wrote third-person captions during these days, the dialogue is a little more haughty than I would expect from Larsen. As it happens, the scripting is better this issue than in most of Larsen’s Wolverine issues, so whatever might be happening behind the scenes, the published comic doesn’t seem to have suffered. As you might have gleaned from the summary, there isn’t a lot of Wolverine in this issue. This is clearly an X-Men story, and it isn’t a bad one, but anyone who just wanted to buy Wolverine and didn’t care about the main crossovers is sure to hate this issue even more than the previous one. 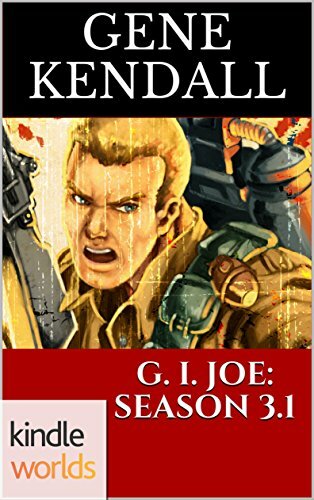 I imagine most readers of this title, after years of Yu’s hyper-detailed work, probably weren’t thrilled with Roger Cruz turning up with another Joe Mad impression, either. This isn’t even on par with Cruz’s other fill-ins from this era, making me question if this was done on a ridiculous deadline, or if the inkers were simply incompatible. 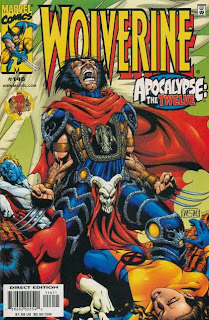 Ignoring which spinoff this story happened to appear in, it actually stands out as one of the better chapters in the 1999 Apocalypse crossover. With two members of the X-Men having been recruited as Death, it would be foolish not to draw them together and get a story out of it. 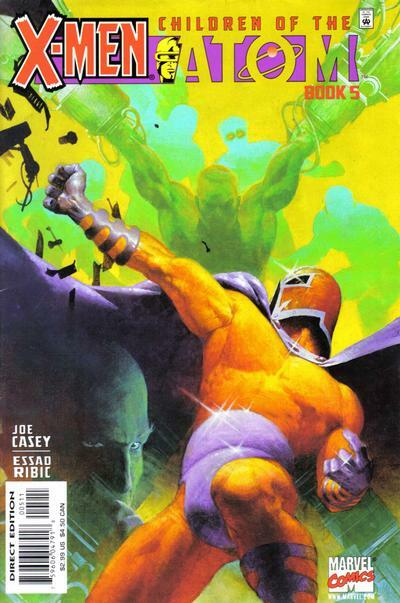 Dragging out the long-forgotten original War, and retconning something of a friendship between him and Archangel, also gives the story a strong continuity with the previous Apocalypse storylines, an element the main crossover began to lack as it drifted into something of a mess thanks to erratic editorial decisions. Not that this storyline makes perfect sense, of course. I don’t understand why Apocalypse would have “gifted” Archangel with light wings that can heal (apparently only one person, although that girl’s going to die of cancer very bravely), or why he bothered with Wolverine in the first place if he could simply bring Archangel back under his influence, but as the story of Archangel putting Apocalypse in his past, it works. Summary: Gambit’s father informs him that he must travel back to 1891’s London, because he remembers Gambit saving his life there as a boy. He seeks help from Sekmeht Conoway, who advises him to use Dr. Doom’s time platform. Gambit recruits Courier and the Mengo Brothers for help and invades Doom’s castle. After facing Stryfe’s Doombot guards, he locates the time platform and forces Courier to go along with him. Jean Luc Lebeau uses the Tithe Collector to help verify his story about Gambit saving his life as a child. Gambit learns from both the Tithe Collector and Sekmeht Conoway that Fontanelle has been invading their dreams. 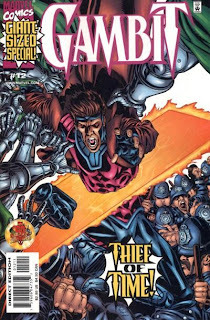 Gambit turns to Conoway for help time-traveling following the events of “The Hunt for the Tomorrow Stone,” the Gambit cyber-comic that appears to be lost to the ages. Stryfe is the ruler of Latveria at this point in continuity, as Dr. Doom still has not returned following the events of Heroes Reborn: Heroes Return. As many fans pointed out at the time, how exactly Stryfe took over Latveria was never shown. He landed in Latveria in the X-Man/Cable crossover, but had a vague death scene at the end. “Huh?” Moment: The narration makes a joke about Gambit getting Conoway to crawl in front of him in the castle’s ventilation shaft, but the art shows that she’s behind him. Review: It’s the year-end anniversary issue, and Nicieza has decided to pull together some of the seemingly disparate threads and begin the next phase of the title. All of this is a setup for getting Gambit in position to travel back to the late nineteenth century, which will eventually shed more light on Fontanelle, the history of the Thieves Guild, Candra, Mr. Sinister, and the mysterious New Son. There’s no great reason for Sekmeht Conoway, Courier, or the Mengo Brothers to be here; I'm assuming that Nicieza wants the reader to feel as if the previous eleven issues have been building to this story, but the character interactions just feel too rushed. Looking back, it’s obvious Nicieza wanted to do more with Sekmeht Conoway as a love interest, but her appearances in the book were so sparse the idea went nowhere. Having her guide Gambit through Stryfe’s castle is a nice use of the character, though. Nicieza seems to be the only person working for Marvel at the time who put any thought into why Stryfe was in Latveria in the first place. Could it be that the evil chaos-bringer from the future might want that time machine Doom keeps in his basement? Unfortunately, Steve Skroce doesn’t seem too excited about any of this, as he leaves this month to go work on the Matrix sequels. 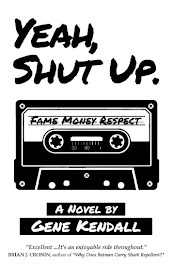 His section of the story consists of very loose breakdowns that are poorly finished by Rodney Ramos. The often bizarre coloring isn’t much of a help, either, as we’re treated to characters with gray skin, literally purple mountains, and a color scheme that alternates between drab and garish and never finds a middle ground. Summary: In 1891, The Tithe Collector informs the Thieves Guild that Candra is not satisfied with their gifts. Meanwhile, Gambit and Courier locate master thief Adam Worth in his London home. He helps them break into Nathan Milbury’s estate, where Gambit’s grandfather Jacques Lebeau is leading a mission to appease Candra after failing to obtain the Momentary Princess. As punishment, Candra is keeping two Guild children, Jean Luc Lebeau and Belize Marceaux, captive. Gambit hands his grandfather notes from Milbury’s lab that will give Candra information on his advanced studies. Candra explains to Jean Luc and Belize her history with the Thieves Guild, revealing that she grants them power and longevity so that they can “divine and resurrect the Old Kingdom.” She believes that the knowledge she gains from the Old Kingdom will help her to continue discretely gaining more power. Belize Marceaux is apparently Gambit’s maternal uncle. Nathan Milbury is Mr. Sinister’s alias, of course. The Momentary Princess previously appeared in Gambit #10.
Review: That’s a lot of exposition to throw into the middle of a comic. Buried in all of this is more information on Candra than we’ve ever been given, a good six years after her first appearance. As Nicieza reveals, Candra keeps her distance from the other Externals, hoping that by staying a non-entity they’ll leave her alone while she accumulates ancient knowledge from around the world. This works to explain why Candra didn’t show up with the rest of the Externals during their early appearances in X-Force (and what a memorable cast of characters those guys were), a question that probably no one was asking but is addressed nonetheless. The truth is, Candra was established as an External in her early appearances because the External storyline wasn’t viewed as embarrassing yet, and it worked as a vague enough origin for the character. Nicieza’s also revealed why exactly the Thieves and Assassin Guilds have been subjugating themselves to Candra for decades, and it involves a deal to unlock the secrets of the “Old Kingdom.” I don’t think the Old Kingdom storyline ever reaches a satisfactory conclusion, but at least the seeds are there in case someone decides to mine deeeep into X-continuity for new Candra material. Summary: Candra rejects the notes handed to her, because she recognizes the designs for Apocalypse’s gestation chamber. The Tithe Collector convinces her to send Jacques Lebeau in her stead to America to learn more about Nathan Milbury’s work. When she refuses to release both boys, Gambit and Adam Worth rescue Jean Luc and cover their escape with explosions. The next morning, Gambit and Courier prepare to travel to America before the Thieves Guild can reach Milbury. Review: Okay, Gambit managed to rescue his father rather early on in this storyline. I guess the rest of this trip is going to be dedicated to revealing more about Mr. Sinister and the Thieves Guild. One of those is interesting, the other fills me with apathy. Guess which is which. There is a decent idea in here, that Candra is so terrified of Apocalypse she sends the Thieves Guild in her place, putting Gambit in competition with his family to reach Sinister first, but…isn’t the Thieves Guild family the last thing this book should be exploring? There are already too many Guild members in the current day that no one cares about. Who really wants to read about their ancestors? Summary: Archangel, Shadowcat, Nightcrawler, and Jubilee search the Morlock Tunnels for Death, who’s recently escaped the mansion. Psylocke uses Cerebro to telepathically connect with the team, which is soon ambushed by Death. Individually, they try to revive his memories and restore Wolverine’s proper persona. Eventually, Psylocke reaches Wolverine, as Jubilee stands before him offering no defense. However, just as Wolverine’s personality reemerges, Archangel undergoes a strange transformation. Psylocke must use Cerebro to access her telepathy, since directly entering her mind would release the Shadow King following the events of X-Men #79. Shadowcat shows no reaction when she phases directly through Wolverine’s adamantium, which would seem to contradict Wolverine #126’s claim that phasing through adamantium is horribly painful. I can't recall any issue from the main chapters of this crossover that had Death/Wolverine captured and actually contained in the mansion. “Huh?” Moment: An errant word balloon belonging to Nightcrawler appears after Death/Wolverine stabs Shadowcat in the foot. I can’t tell if it’s meant to be there or not. I guess it could work as Nightcrawler’s response to Shadowcat’s line (She tells Wolverine he isn’t this mean, Nightcrawler interjects “Hah! Kitty may have ‘pegged’ me, mein freund, but she skewered you.”), but it doesn’t match the tone. Why would Nightcrawler joke around like this after seeing his friend get stabbed? Review: Even while these issues were being released, I think Erik Larsen made it clear he wasn’t overly interested in keeping up with all of the details of the latest line-wide crossover. My memory is that Fabian Nicieza was brought in to co-write these issues while Larsen was on a vacation, although I’m not sure how the labor was divided. The dialogue doesn’t read like Larsen’s work, leading me to wonder if his main contribution was in the plotting. Larsen’s Wolverine issues tended to have references and flashbacks to various Uncanny X-Men stories from the Claremont era, and this issue is filled with them as the team tries to talk Wolverine out of Apocalypse’s brainwashing. Perhaps Nicieza provided a rough outline based on his knowledge of where the crossover would be, Larsen plotted it out page-by-page, and Nicieza scripted it? Then again, the dialogue doesn’t really sound like Nicieza’s, either. Considering the state of the X-office during this time, it’s also a possibility that much of the script came for editorial. Regardless, this is a little more coherent than the average Larsen issue, and its insertion into the ongoing Apocalypse crossover works rather well. The chapter that has Wolverine returning to his true personality probably should be run in his solo book, and the addition of Archangel is a smart decision. 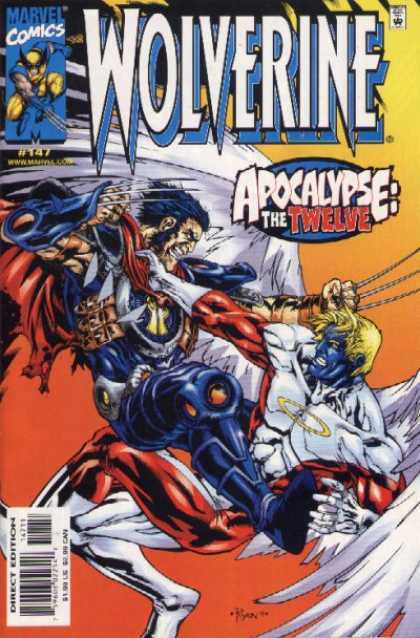 (Archangel was severely underused in the other X-titles during the 1999 Apocalypse crossover.) Drawing Archangel back into whatever Apocalypse might have planned is a nice way to pull the story away from a pat happy ending, and it works with the established continuity. Continuity purists would also be happy to see the return of the classic Wolverine/Archangel rivalry (“classic” to anyone who remembers Claremont’s portrayal of their relationship, at least). I was always bothered as a kid that the post-Claremont writers just ignored the fact that Wolverine and Archangel hate each other after the X-Men and X-Factor teams merged. I was certain that one day someone would do a story following up on the rivalry, but it never happened. Instead, we got Bishop, Omega Red, and the Upstarts. Who is Worthy to Break the Seals…? Summary: Apocalypse taunts Cable, who is now his captive. He leaves Cable’s psimitar in front of him as a final insult and leaves the room. Death enters, shocking Cable. Cable telepathically uses his psimitar to attack Death and free himself. He tries to draw Wolverine’s persona out of Death, but fails. Eventually, Apocalypse returns and fights Cable to a standstill. Cable’s forced to give up when Death appears with Caliban as a hostage. “Huh?” Moment: Death/Wolverine falls down a seemingly bottomless pit to his death during his fight with Cable. A few pages later, he magically returns with Caliban as a hostage. Creative Differences: There is no credited plotter for this story, only Joe Pruett and Rob Liefeld as “storytellers.” Pruett was very clear at the time that he did not plot this story and was only responsible for scripting the pages sent to him. Miscellaneous Note: The title of this issue is a reference to the fifth chapter of Revelation. 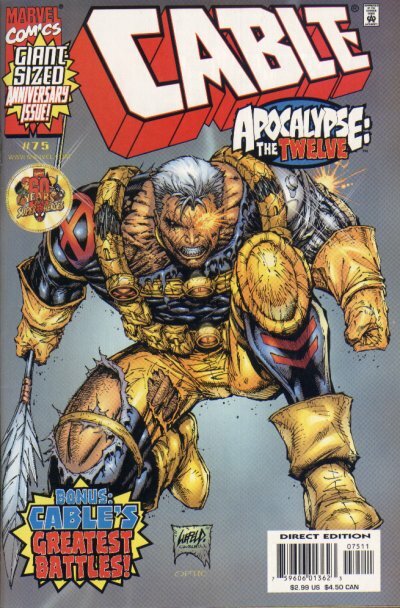 Review: Not that Rob Liefeld’s run on Cable was very popular on the internet in the first place, but this issue was especially loathed. This double-sized anniversary issue, the one people believed for years would be the ultimate battle between Cable and Apocalypse, is instead a collection of clumsy fight scenes that advance the ongoing storyline not one inch. Literally -- the first and last page of the story have Apocalypse lording over the restrained Cable, with the same narration detailing Cable’s failure on both pages. And even as a mindless fight scene, this is awful. Splash page after splash page of awkward poses, ugly faces, and nonexistent backgrounds. As far as I know, no one’s ever taken credit for plotting this issue. 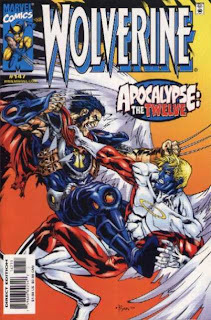 The fan theory at the time was that Liefeld was told to just draw a big fight scene for the issue, but I believe Liefeld denied having any role in plotting the story. If the story wasn’t plotted by Pruett or Liefeld, that probably leaves editorial. 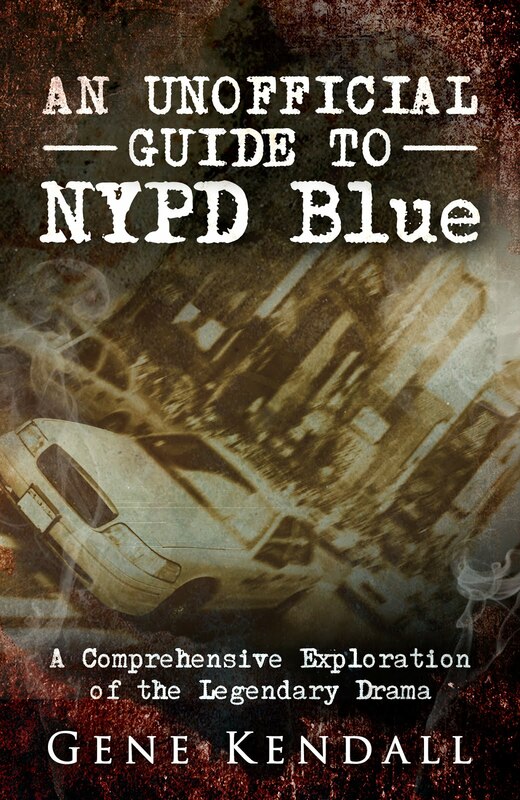 And since editor Mark Powers already had a reputation as a heavy rewriter, many people just assumed this was something he slapped together during his lunch break. Who knows the truth, but I can’t blame whoever is responsible for not wanting his or her face revealed. Summary: Batman finds Bane after he announces himself on an electronic billboard. He cuts off Bane’s Venom supply and chases him on to the city’s elevated trains. Bane kills a conductor and takes control of a train. Robin arrives to rescue the passengers as Batman has a brutal confrontation with Bane. Eventually, the train goes off the tracks and crashes into an abandoned building. Batman has an opportunity to kill Bane, but leaves him for the police. Later, Robin admits he was wrong and tells Jean-Paul he’s earned the mantle of Batman. Irrelevant Continuity: Bane’s message on the electronic billboard reads “‘Batman’ Now.” Gordon notices the quote marks, but isn’t willing to believe that Batman has been replaced. Gordon’s inability to realize that the original Batman is gone stretches credibility quite a bit, unless the reader is supposed believe Jean-Paul can perfectly mimic Batman’s voice and body language. Robin even gets to do something more than complain this time, as he rescues the civilians that Bane has trapped in the final car. Now, here’s another instance where it’s hard to tell what Moench is going for. Leading up to this scene, we see Jean-Paul race past an elderly woman that Bane has pushed aside, and arrive too late to stop Bane from killing the train’s conductor. (Robin sees none of this, which would help to explain why he’s willing to give Jean-Paul his blessing later.) No civilians are saved by the new Batman this issue; nor are there any narrative captions or thought balloons to indicate that he’s even given them a single thought. Is this Moench’s way of subverting the superficial point of the story, by allowing Robin to be the true hero while Batman is concerned with beating up the guy who beat him up first? If so, it totally went over my head as a kid. I finished the issue convinced that DC was absolutely serious about this new Batman. Not that I truly expected the change to last, but I had no idea the creators already had the resolution mapped out. 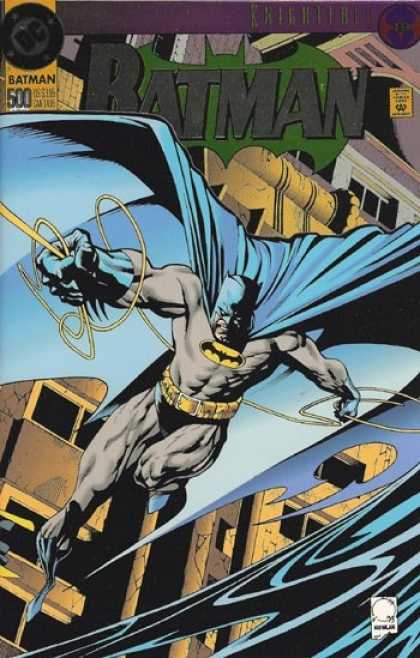 Summary: Batman drops off the scaffold and maneuvers his way to the ground. He lands in a fountain, but there isn’t enough water to protect him from injuries. Bane escapes. Later, Robin confronts Batman about his methods, but Jean-Paul refuses to listen. That night, Nightwing arrives and discovers Bruce Wayne is no longer Batman. He advises Robin to trust Bruce’s judgment and allow Jean-Paul to continue as Batman. Meanwhile, Bane replenishes his Venom supply, as Jean-Paul designs a new Batman costume. Irrelevant Continuity: We learn that Harold has been living in a hidden room (apparently attached to the Batcave), spying on Jean-Paul. Total N00B: I’m assuming the dog that briefly appears in the Batcave this issue is the ‘90s Ace. He walks away from Jean-Paul and is then fed by Harold. 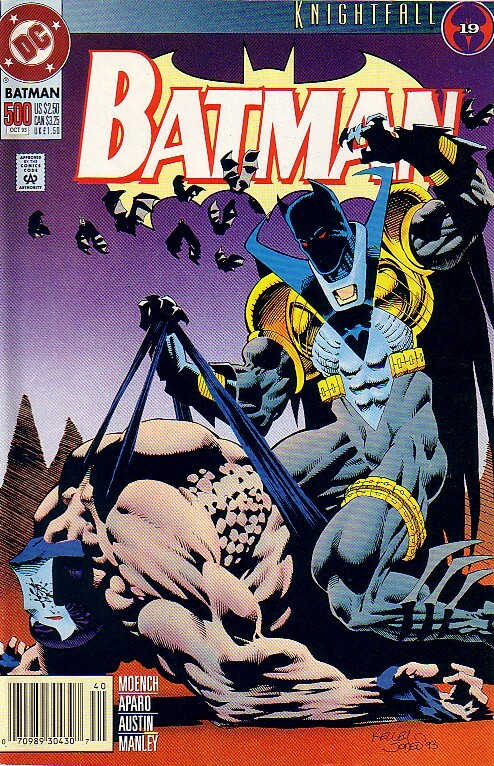 I read this issue as a kid and had no idea what to make of that scene, but I understood that I was walking into a huge event and my knowledge of certain areas of Bat-continuity was spotty. Gimmicks: A foil-enhanced alternate cover by Joe Quesada was also released for this issue. 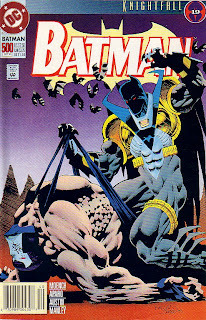 I had been reading comics enough years to be cynical about major changes to the status quo by this point, but I have to admit that the prospect of a darker, more violent Batman appealed to me in my early teens. I didn’t necessarily want to see Bruce Wayne replaced by a new character, but I didn’t object to the prospect of Batman himself becoming colder and more willing to kill. (This is fairly consistent with Tim Burton’s portrayal of the character from the movies, which were inanely popular at the time.) The speech Jean-Paul gives Robin about meeting your opponent on his own terms and “chivalry is just a handicap” seems tailor-made to appeal to a teenage boy’s bloodlust; I remember reading it and thinking that it made perfect sense. And if you’re still wondering why Christopher Nolan ventured into ‘90s continuity when making his final Batman film, another line from the speech might provide a clue. What’s Jean-Paul’s response when Robin tells him that he’s becoming like Bane? “Maybe so. And maybe Gotham will fear and hate me when I’m done.” Is this the origin of Nolan’s bizarre theory that Gotham must hate Batman in order for him to fulfill his role? That Gotham is not only willing, but eager to turn on Batman? As I’ve said before, knowing in retrospect that this was all done to prove a larger point about heroism and reaffirm the true Batman’s value system makes the whole affair seem genuinely remarkable. The adolescent readers (and adult readers with adolescent attitudes) got their nasty, faux-Miller Batman for a year or so, and then Bruce Wayne returns to set things right and show why this thinking is all wrong. Of course, DC couldn’t leave well enough alone and couldn’t resist making Bruce Wayne increasingly unstable and antisocial years after this event had made its point, but that’s a rant for another time.